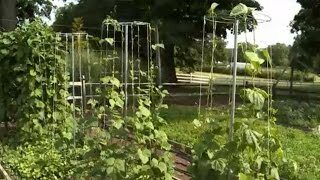 Produces a huge crop of snow peas with high percentage of two pods per cluster. 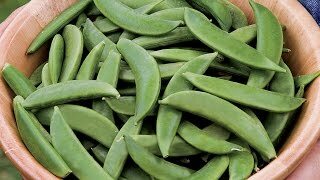 As versatile as snap peas, pick snow peas flat and tender. Vigorous 28" plants bear 4 1/2" long pods. Resistant to pea virus, common wilt and powdery mildew. Superb for freezing. Direct-sow in early spring, again in midsummer for a fall crop. Outstanding winter crop in Zones 9-11. Proven tops for performance, flavor and wide adaptability. Our seeds are not treated. Pea, Oregon Sugar Pod II is rated 4.8 out of 5 by 16. Rated 5 out of 5 by PamJ from Best Snow Peas Yet These are the best snow peas I have ever planted. The pods are large but stay flat and crisp longer than most and so sweet. The shorter size works much better in my garden than the Super Snaps that are too tall for the fence I use as a trellis. I almost have too many but am freezing some and learning new recipes to enjoy them fresh. I will be ordering these again. Thank you Burpee for having so many varieties of all your vegetables to choose from and try. Rated 4 out of 5 by towngardener from good producer in spite of heat We had a warm spring, but this still produced well enough to allow me to freeze quite a bit. Not as productive as Sugar Snap, but certainly earned it's keep. Done by 6/21, which is as I expected. Rated 5 out of 5 by Leonard LENNY from Sweet.y I bought these peas didnt expect much, overlooked for awhile then checked closer and found two pods tasted one and could not believe them I thought it was candy gave the other too my partner and he could not believe the flavor.they are great we search daily they make a salad great this is a must have......lenny only have a small garden but I squize it till the dirt turnes GREEN. Rated 5 out of 5 by eveoftheseas from Worked in the desert! Planted first week of March, have been getting daily or every other day harvest for a month. Removing plants first week of June due to desert temperatures over 100. No fertilizer or extra organic material added to clay soil since last year's planting. Did provide trellis, but these are bush and did not climb. Extremely happy with outcome and continued production! Rated yield a 4 rather than 5 as I never saw so many pods in one place with consistent length as the picture, but loved the taste and yield! In picture, have already washed and removed stems. Rated 5 out of 5 by Lynne1949 from This is an absolutely must in my Fall/Winter/Spring garden box in Arizona. I have a trellis in my 4' x 2' Monarch Garden Box and plant the first crop by last week in Sept. As long as nights stay above 50 degrees I inter-plant to extend the crop well into December/January. I will re-seed again after our last frost in Mid-February. Oregon Sugar Pod is my most reliable and heavy yield treat from the garden! Rated 3 out of 5 by Maryeveryday from Normally a great snowpea This year was not a success for my snowpeas. I've grown these for several years with great success, but unfortunately not this year. I haven't figured out why yet: the peas only lasted part of the growing season, produce a miniscule number of pods, and I had to pull them out early. Very sad. But I do recommend these in general and will plant them again next year. Hopefully will know by then what happened this year! Rated 4 out of 5 by blossombrigade from Surprisingly Hardy I planted these in a container in mid-March, they took quite some time to germinate and I thought our extra cold spring weather had killed them all. They sprouted eventually about a month and a half later & after that they were pretty much ignored for 6+ weeks (medical issues kept me out of the garden during that time). We had cold snap after cold snap & I was stunned when these stunted little vines began to produce! Only a handful of small pods altogether off of four vines, but they were delicious. Some leaf miners got to them in the past few weeks and I was going to pull them up a few days ago but didn't get around to it. Today I go out and see seven new blooms! In spite of adversity they did remarkably well, in my opinion. I am eager to try them again next year when I can give them a more attention, hopefully more favorable weather and allow them live up to their full potential!